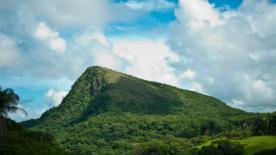 The Quetzales National Park, declared in 2005, is the latest addition to the list of the National Parks of Costa Rica. It is set along the Talamanca Mountain range, and it mostly consists of cloud forest with an important plethora of flora and fauna. 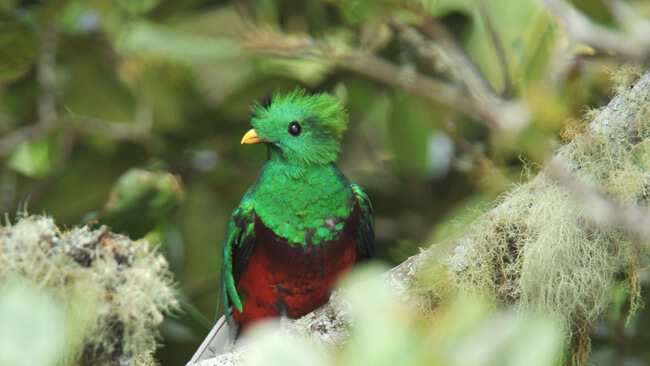 The highlight of this National Park is of course the Quetzal. This bird is renowned for being shy and evanescent, and it can be tricky to see one! Patience however pays off and furthermore the rangers claim that it is relatively easy to spot them in this park as there are apparently plentiful there. Birdwatchers will not be disappointed as the park is also teeming with toucans, hummingbirds, tanagers, trogons and parrots. The Quetzal is however quite a striking bird, claimed by many to be the most beautiful bird of the world for its awesome plumage of strong contrasting colors; metallic green feathers on its head, neck, chest, back and wings and crimson feathers on its lower breast, belly and convert under-tail. Maybe its most spectacular feature is its awesome elongated upper emerald green tail that covers the brilliant white tail underneath. The males are quite more striking than the females and also have a bright golden green crest on their heads. They use their tails like a train as they try to impress the females. These elegant tails are particularly impressive when the birds are flying during the mating season. 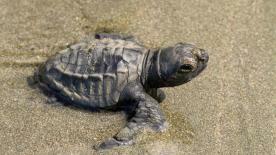 The females are still beautiful birds, with a bronze head and grey chests and bellies. In some Central American Culture the bird has been called the Rare Jewel Bird of the World and it is usually referred to as the Resplendent Quetzal. The park encompass what was known as Los Santos Forest Reserve with three types of rainforests and up to fourteen mini-ecosystems. 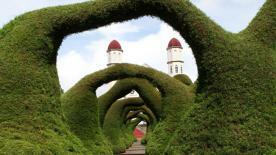 In this park you will see mountains, lakes cloud and rainforests, rivers and streams. Pumas, sloths, and coyotes have been spotted and you will see a myriad of exotic flowers and trees, like the Aguacatillo, which is a relative of the Aguacate tree with fruits the Quetzals love. The lush green of the trees and plants and the colors of the flowers, birds and butterflies are simply enchanting and too beautiful for words. This park is a true gift of Nature not to be missed. Public transportation: Yes; buses will drop you at the ranger station. Public amenities: Yes; there are public bathrooms and water fountains within the park. Gas stations: No; nearest is in San Isidro del General or El Empalme. Restaurants: Yes; there is a restaurant across the highway from the ranger station. Nearest medical facilities: There is a Red Cross in San Marcos de Tarrazú.